CLARA is the QI ad-engine that helps you create, manage and execute targeted mobile advertising campaigns with just a few clicks. Using our in-house Location Sense technology, we help to maximize your marketing spend and deliver your content to a targeted audience of your choosing. Reach users at specific locations, chains, or stores where you want to stay top of mind.Tailor your messaging depending on how far users are from your stores. Use our global database of millions of engaged users to uncover unique insights based on driving behaviors. Leverage accurate ad targeting by relying on the best location profiling datasets we offer. The pre-defined datasets are based on affluence, transience and precinct scores for each location. Reach the right users based on where they are in real time with endlessly customizable geo-fencing. Easily design campaigns by selecting preferred locations from our dataset, using attributes such as category, demographics, and targeting radius. The conversion of online shoppers into real-life foot traffic is essential for dealers to succeed in the increasingly digital retail environment. 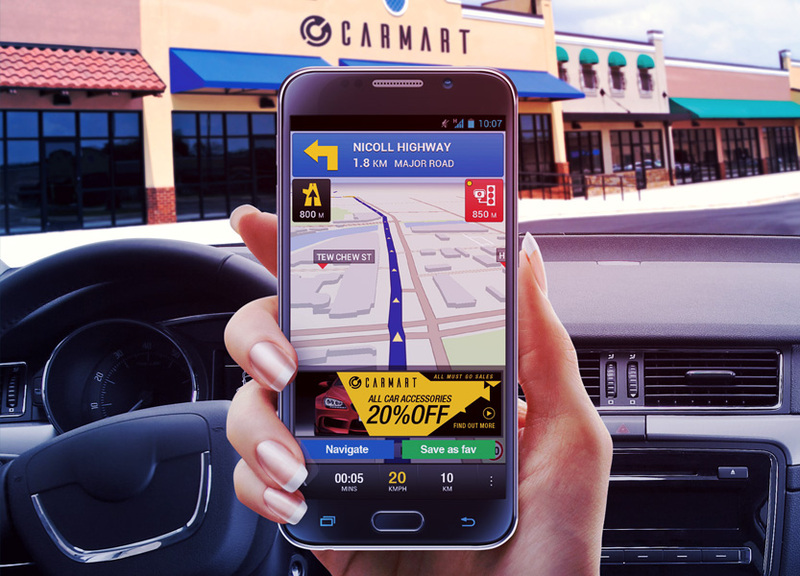 Our ad platform enables drivers to drive to your retail location or opt to save and take action later – download an app, visit your website and more. Drive higher CPMs by offering ad targeting that is higher quality and more customizable than the competition. Provide highly customized targeting for each campaign with the ability to create custom location based audiences and the most flexible geo-fencing available. As the leading pioneers in location, we are built upon deep expertise and experience. Our cutting edge location technology enables brands to precisely target the right audiences for their business.